I love a good appetizer that’s easy to make and travels great. 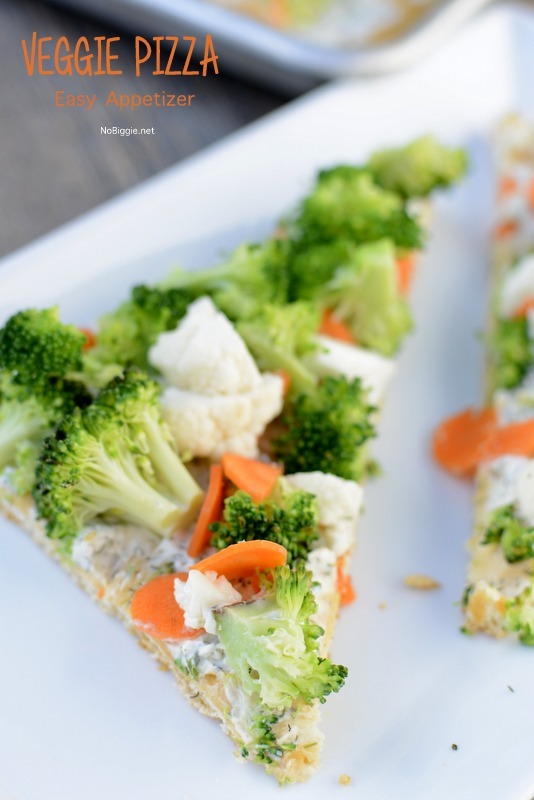 This Veggie Pizza is just that, plus it’s healthy, loaded with all your favorite veggies. 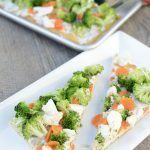 The best part is that you serve it cold, so you can make it ahead and pull it out of the fridge and slice it up right before your friends get there. It would make an easy addition to a table full of Game Day appetizers. It’s up to you on how you slice them up, you can cut them into cute little squares or triangles to look just like pizza. Only this is healthy pizza! Here’s the ingredient line up, with the easy print recipe below. I bought the 2 pack of crescent rolls, and I ended up using both to fill this half pan sized baking tray. I love using those pre cut sheets of parchment paper. 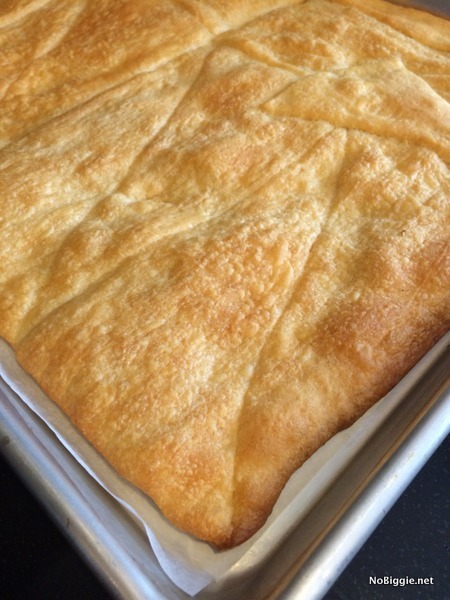 Just press the crescent roll pieces down into the pan covering the entire pan. Just bake the crescent rolls as directed on the package. 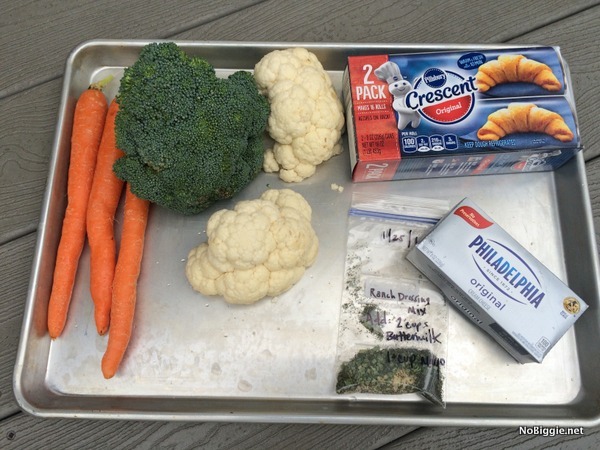 Set it aside while you mix up the cream cheese spread. 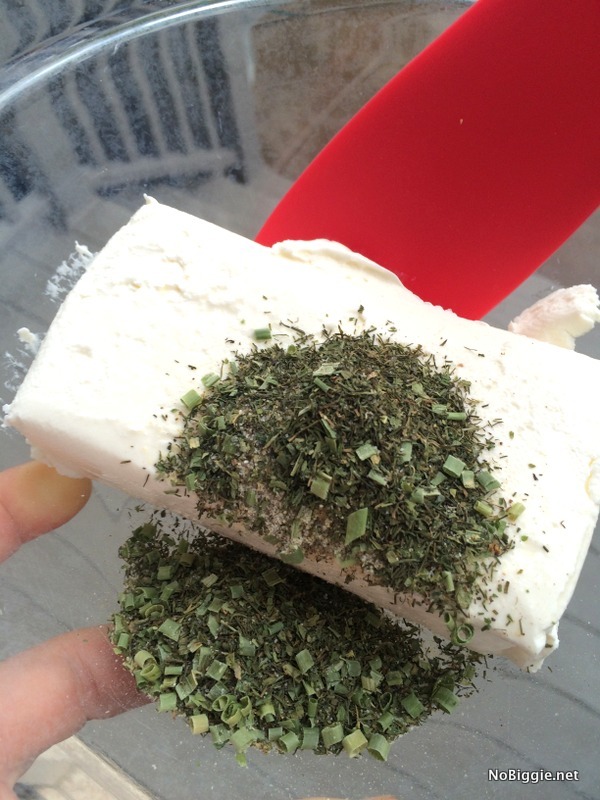 Mix together the block of cream cheese with a packet of ranch dressing. I used a homemade version of ranch dressing, which is so easy and I love knowing the exact ingredients in it. Once mixed together, just spread it all over the top. 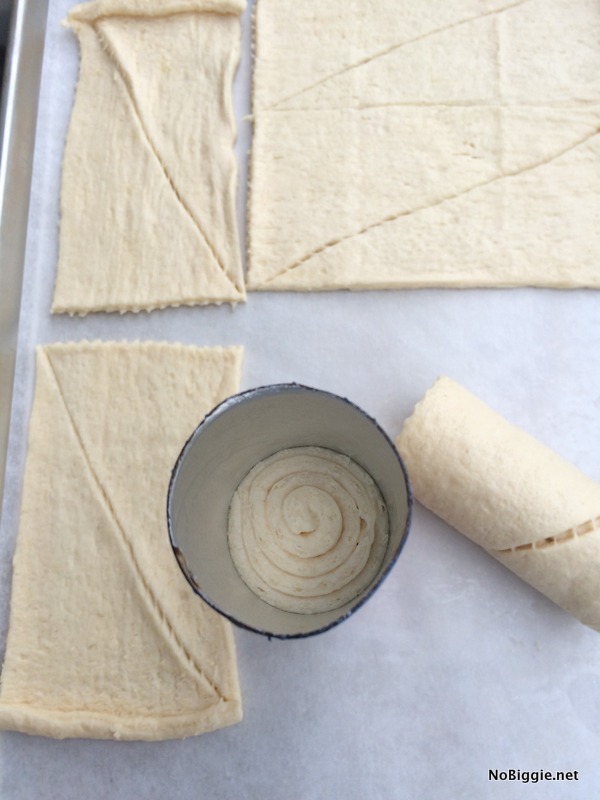 It spreads easier if the crescent rolls are still a little warm from the oven. Then just add your favorite chopped veggies. 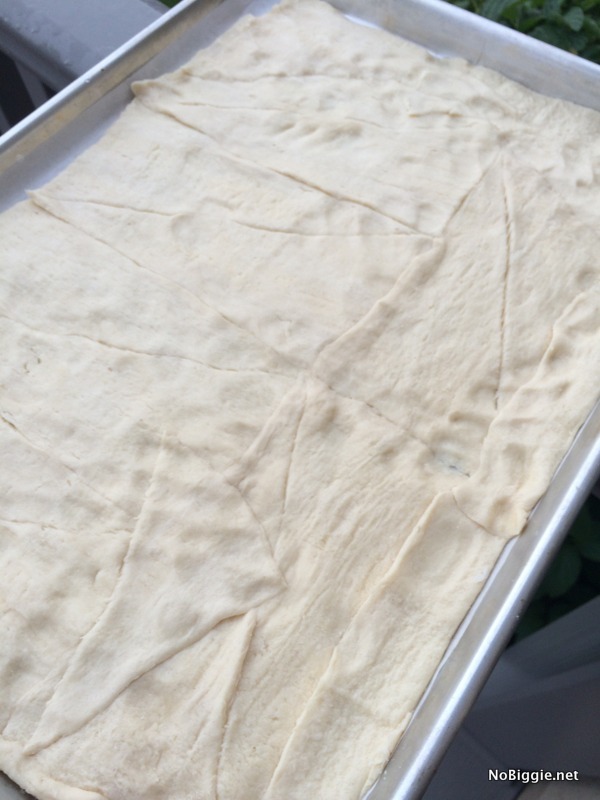 Remove crescent dough from packaging. 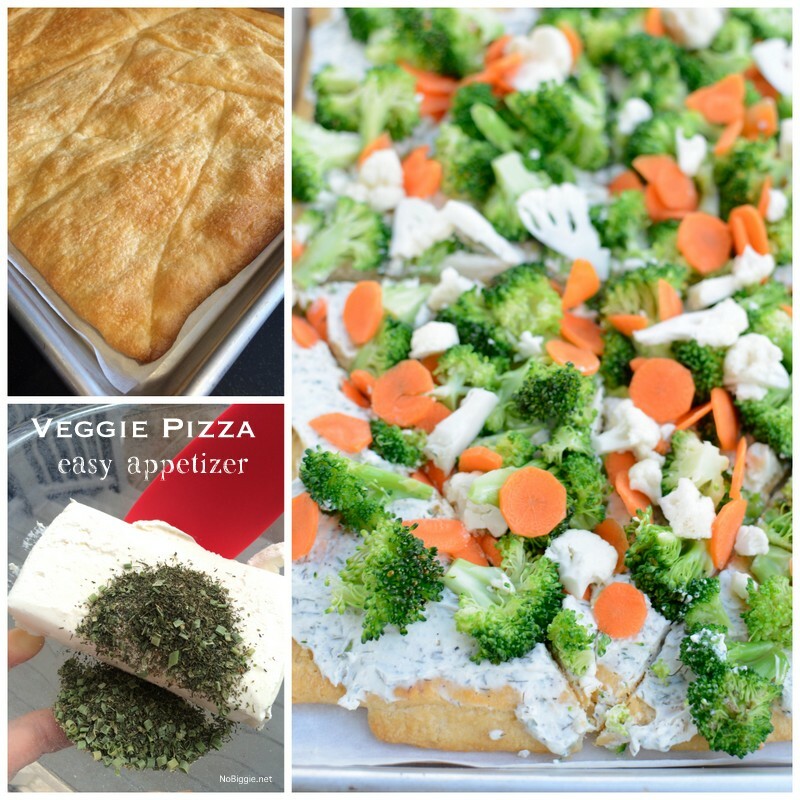 Arrange and press down into the bottom of a half sheet pan lined with parchment paper. Bake at 375° for 15-20 minutes or until golden brown. Remove from oven and let cool. In a small bowl, mix together the cream cheese, sour cream and dry ranch dressing mix until smooth. 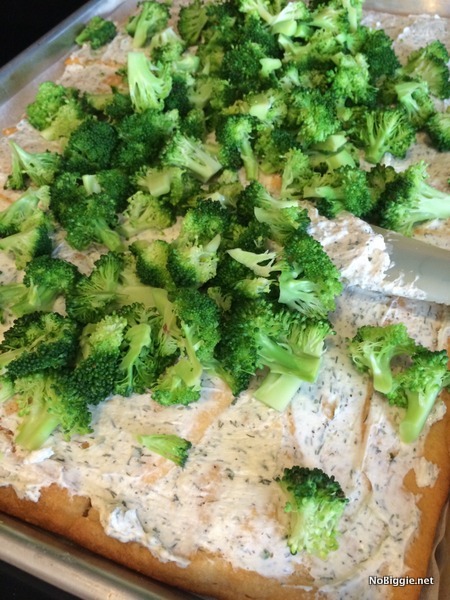 Spread over the crescent roll crust. 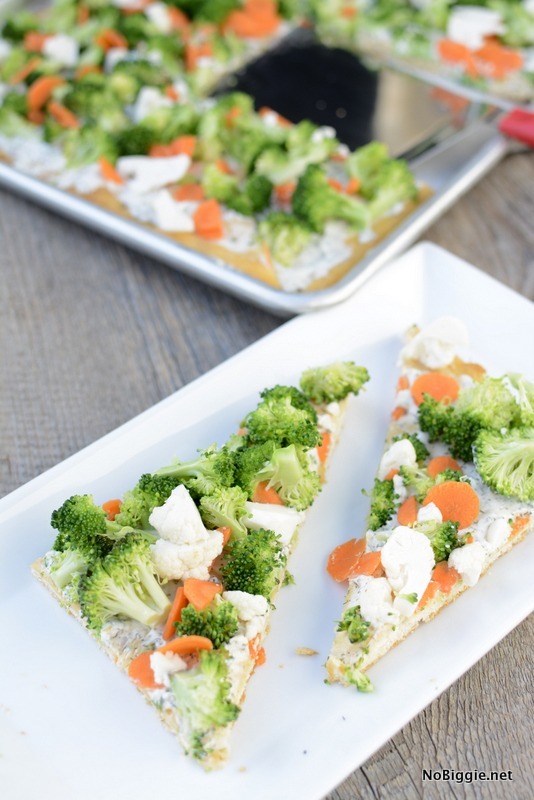 Top with all the chopped veggies: broccoli, cauliflower and carrots.